Obviously, when you accept a tenant who has a pet, there are liabilities that you’ll have to accept and be okay with. There is a higher chance that your property will be damaged, as well as potential noise complaints if their pet is left at home a lot or is a particularly loud breed. When you accept these applicants, it’s appropriate to have them put down an additional pet security deposit, to help cover the cost of potential damages incurred because of the pet. In addition to this, depending on the situation, you can also charge an additional rent every month, for the accomodation for the pet. When it comes to the potential for damages within the rental property, there are a few things you can do to update your property before your new tenants move in to try and minimize the potential damage. Consider replacing your flooring with inexpensive laminate. This eliminates the possibility of needing to replace carpeting. In order for your property to be considered pet friendly, you should have an expanse of grassy area in either the front or back of the property. This is not only to give your tenants a place to bring their pets to relieve themselves, but many pets, such as dogs, need a place to run around and get their energy out. If it’s possible, try to make any backyard areas fenced, so tenants can let their dogs off their leashes. Giving them this chance to get their energy out, will actually minimize the chance that they will cause damage inside of your property. The more energy a dog has, the more destructive they will become when they are cooped up in a small space. 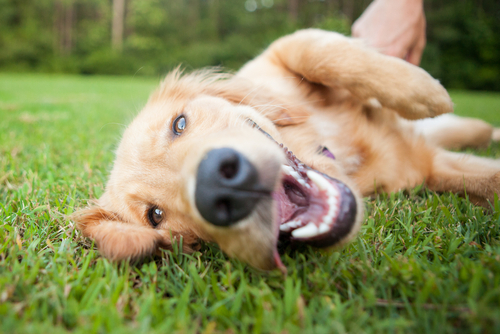 If your property has a fenced yard, your tenants won’t have to worry about them coming across another pet or running off, and can let them run around and expend this energy without having to go to a designated dog park.